On June 16, as noted in a prior post, President Donald Trump announced a reversal of some aspects of the Cuba normalization policies that had been instituted by his predecessor, President Barack Obama. Now we look at U.S. reactions to this change of policy. Subsequent posts will examine Cuban reactions and conclude with this blogger’s opinions on the subject. The prohibition of U.S. businesses having interactions with Cuban businesses owned or controlled by the Cuban government or military presents more of a problem because such entities are involved in all sectors of the economy. According to Cuban economists, the government conglomerate (GAESA) boasts dozens of companies that control anywhere from 40 percent to 60 percent of the Caribbean island’s foreign exchange earnings. Many U.S. businesses opposed the changes. The U.S. Chamber of Commerce and National Association of Manufacturers, typically supportive of GOP presidents, predicted the changes would limit prospects for “positive change on the island.” Others with similar views include ENGAGECuba, the U.S. Agricultural Coalition for Cuba, National Farmers Union and the National Foreign Trade Council. These business opponents were supported by non-business groups, including the Center for Democracy in the Americas, the Latin America Working Group, the Washington Office of Latin America, Church World Service and the Presbyterian Church (U.S.A.). The changes will have negative impacts on U.S. jobs and income. The increase in U.S. trips to Cuba has helped the U.S. hospitality industry with Delta Airlines, American Airlines, JetBlue and others flying to at least six Cuban cities daily and Carnival cruise lines taking American citizens to port in Havana. All told, the group Engage Cuba estimates that restricting the rights of United States citizens to travel and invest in Cuba would cost the American economy $6.6 billion and affect 12,295 American jobs. U.S. hotel businesses also expressed concern about the potential impact of the change on the island’s hotels. The Gran Hotel Manzana, for example is managed by a Swiss company (Kempinski Hotels) but owned by Gaviota, a Cuban military-run company. An U.S. company, Marriott International, through its subsidiary Starwood runs the Four Points by Sheraton hotel in the Havana suburb of Miramar. Would they be off-limits for American travelers or would they fall under a vaguely promised grandfather clause for existing deals? Or would the change force American travelers to Cuban hotels run by civilian tour organizations, including Gran Caribe and Cubanacan? There is even speculation that the change economically benefited Mr. Trump by neutralizing rival hotel companies’ ability to gain an early advantage over the Trump hotels, which previously had expressed interest in developing hotels on the island. Many members of Congress, Republican and Democrat, have expressed opposition to the changes. Representative Tom Emmer (Rep., MN), who’s been one of Trump’s most enthusiastic backers on Capitol Hill while also being the author of a bill to end the embargo (H.R.442—Cuba Trade Act of 2017), said Trump’s new Cuba policy “will hurt the United States economically, making it harder for our nation’s farmers to access new markets and cutting the knees out from under our travel and manufacturing industries.” Emmer also said the new policy will not keep the American homeland safe and could threaten new bilateral agreements with Havana to combat human trafficking, illicit drugs and cyber crimes. Representative Rick Crawford, (Rep., AR), the author of a bill to promote U.S. agricultural exports to Cuba (H.R.525—Cuba Agricultural Exports Act), said Trump’s shift is more than just a missed opportunity for rural America, which would benefit from greater access to Cuba’s agricultural import market. He said Trump’s policy may put U.S. national security at risk as strategic competitors move to fill the vacuum the uncoupling could create. “Further U.S. disengagement opens up opportunities for countries like Iran, Russia, North Korea and China to gain influence on an island 90 miles off our coast,” Crawford said. Senator Jeff Flake, (Rep., AZ), a frequent critic of Trump and the author with 54 cosponsors of a bill to facilitate Americans travel to Cuba (S.127 Freedom for Americans to Travel to Cuba Act), stated that any policy change “that diminishes the ability of Americans to travel freely to Cuba is not in the best interests of the United States or the Cuban people.” Therefore, Flake called for the Senate’s GOP leadership to allow a vote on this bill. Flake also warned that returning to a “get tough” policy hurts everyday Cubans whose livelihoods are increasingly rooted in travel and tourism. The five-day Minnesota trip referenced by Senator Klobuchar is being led by its Lieutenant Governor, Tina Smith, accompanied by various state government officials and leaders of agricultural groups. Their objectives are to build relationships with Cuba and promote Minnesota agricultural exports to the island. In Cuba Lt. Gov. Smith said, “There is no denying the actions Trump took . . . [on June 16] are a real setback. But the important thing to me is that there is bipartisan support at the federal level for normalizing and modernizing our relationship.” In the meantime, she said she was glad to carry the message that there was still plenty of support for continuing to normalize relations. Minnesota’s government and businesses will continue to engage with Cuba in the areas they can, like agricultural trade. Cuba invited the Minnesota delegation to a trade show later in the year while Minnesota invited Cuban officials to visit. Many other Americans have expressed their opposition to the changes. The Cuban-Americans at the president’s event in Little Havana are enthusiastic supporters of the new policy as are many other Republican voters in the U.S. Although the Wall Street Journal has not offered an editorial on this change, its columnist on Latin American issues and a critic of normalization, Mary Anastasia O’Grady, welcomed Trump’s changes to U.S. policy regarding Cuba even though it was only “an important symbolic change . . . [whose] effects are likely to be minimal.” Instead she argues that Cuba needs a “high-profile truth project” to take “ an honest look at the historical record that acknowledges the regime’s many crimes against humanity.” She refers to the Cuba Archive Truth and Memory Project that has documented 934 executions mostly in the Escambray” Mountains, circa 1959-1964, in addition to 607 executions of political prisoners, most of whom are believed to have been captured in the Escambray. This Project is the work of the Free Society Project, Inc., a Washington, D.C. non-profit organization with a board of Cuban-Americans. Assoc. Press, AP FACT CHECK: Not Much New in Trump’s Cuba Policy, N.Y. Times (June 17, 2017); Assoc. Press, Trump Rolls Back Some, Not All, Changes in US-Cuba Relations, N.Y. Times (June 17, 2017). Burnett, Travel Industry Scrambles After New Cuba Restrictions, N.Y. Times (June 16, 2017); Reuters, Cuban Military’s Tentacles Reach Deep Into Economy, N.Y. Times (June 15, 2017); Harwell & O’Connell, With shift on Cuba, Trump could undercut his company’s hotel-industry rivals, Wash. Post (June 15, 2017); Sabatini, Trump’s Imminent Cuba Problem, N.Y. Times (June 15, 2017). Kraut, Trump Is Wrong to Pull Back from Cuba, N.Y. Times (June 16, 2017); Letters to Editor, Trump’s reversal of U.S. Policy on Cuba, N.Y. Times (June 19, 2017); Pensack, Trump To Reverse Obama Openings to Cuba Under the False Flag of Human Rights, The Intercept (June 16, 2017). Previous posts about the Minnesota Orchestra’s trip to Cuba are listed in the “Cuba & Minnesota” section of List of Posts to dwkcommentaries—Topical: CUBA. Editorial, A Cynical Reversal on Cuba, N.Y. Times (June 16, 2017); Editorial, Trump just reopened the Cold War with Cuba. His excuse is disingenuous, L.A. Times (June 16, 2017); Editorial, Don’t get too worked up over Trump’s Cuba shift, It’s just a policy tweak, Wash. Post (June 17, 2017); Editorial, Trump’s Cuba retreat hurts U.S. and Minnesota, StarTribune (June 19, 2017); O’Grady, Cubans Need a Truth Commission, W.S.J. (June 18, 2017). A prior post reviewed the U.S. State Department’s just-released 2013 Country Reports on Human Rights Practices while another post discussed its chapter on Cuba. Now we look at the implications of that report for U.S. policies regarding Cuba. Some people assert that the negative aspects of Cuban human rights justify continuing U.S. hostility toward the island. They see the Cuban glass of human rights at least half empty. Notable among them is U.S. Representative Mario Díaz-Balart, a Cuban-American and a Republican Congressman from Miami, who remains a stalwart powerful defender of the embargo and other anti-Cuba policies of the U.S.
Others, including this blogger, reach the opposite conclusion based, in part, on the belief that the Cuban glass of human rights is half full. the U.S. Government’s Commission on Assistance for a Free Cuba setting forth what amounted to a U.S. blueprint for taking over Cuba. This history provides Cuba with many legitimate reasons to be afraid of the U.S. It, therefore, is understandable why Cuba has harshly treated what we call “dissidents” and what Cuba fears are or could be supporters of a U.S. takeover. And we in the U.S. should know from our own history since 9/11 that societies and governments tend to clamp down on civil liberties when they fear outside interference or attacks. Cuba’s regrettable lapses on human rights, though perhaps understandable in context, should not be a reason for continued U.S. hostility toward the island. Therefore, as a prior post argued, improving Cuban human rights should be one of many items on an agenda for a comprehensive, mutually respectful negotiation between the two countries. 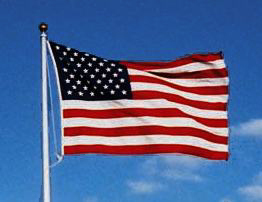 The objectives of such a negotiation, in my opinion, should be restoration of full diplomatic relations; ending the U.S. embargo against Cuba; terminating the unjustified U.S. designation of Cuba as a “State Sponsor of Terrorism;”  terminating the one-sided U.S. lease of Guantanamo Bay; and compensating owners for expropriation of property on the island as part of the Cuban Revolution. Such a negotiation, in my opinion, is in the interest of the U.S. Cuba poses no threat to the U.S. Our businesses and farmers would benefit economically from open relations with Cuba. Normalizing our relations with the island would be seen by most people in the world, especially Latin America, as a sign that the U.S. is a mature, rational country. These thoughts were echoed by the Cuban religious leaders who held a U.S. congressional briefing on February 27th. Joined by the President and CEO of Church World Service,  they reaffirmed their long-held opposition to the U.S. embargo of Cuba. Before the commencement of such complicated negotiations, the U.S. President should commute the sentences of three of the Cuban Five to the 15-plus years they already have spent in U.S. jails and prisons and let them return to their home country. Similarly Cuba should commute the sentence of U.S. citizen Alan Gross to the time he already has spent in Cuban prison and allow him to return to the U.S. Given the long period of hostility between the two countries and the apparent lack of movement toward negotiations, I believe that the assistance of a neutral third-party mediator would be helpful to both countries. Such a mediator, in my opinion, should be someone who is bilingual in English and Spanish with experience as an international mediator, who is in fact and perceived to be neutral and who has the time (and staff?) to make a major commitment to this process. Such a mediator indeed could and should step forward and invite representatives of both countries to participate in mediated negotiations, rather than wait on them to agree on such a process. Suárez is a Baptist pastor and the founder and director of the Martin Luther King, Jr. Center in Havana. When I visited the Center in 2007, Rev. Suárez told our group that he had founded the Center because he thought King’s philosophy of non-violence and social justice was relevant to Cuba, especially to Afro-Cubans. He also said that in 1984 he and other religious leaders met with then President Fidel Castro to protest the government’s endorsement of atheism (or scientific materialism) as limiting the space for churches, and after the collapse of the Soviet Union in 1989, Cuba abandoned that endorsement and provided more space for churches to participate in issues facing the island. Amnesty International, Human Rights Watch and former U.S. President Jimmy Carter also call for ending the U.S. embargo. So too does world opinion as evidenced by the U.N. General Assembly’s passing resolutions condemning the embargo for the last 22 years. The last such resolution in October 2013 was passed 188 to 2 with only the U.S. and Israel voting against it. A prior post to this blog also has argued for ending the embargo and summarized the 2011 General Assembly resolution against the embargo. This blog has reviewed the State Department’s asserted rationale for the “State Sponsor of Terrorism” designation and called it ridiculous for 2010, 2011 and 2012 and absurd for 2013. This blog also noted Cuba’s adoption of legislation against money laundering and terrorism financing and thereby negating one of the purported reasons for the designation. In a letter to President Obama that was reproduced in this blog, I called for the U.S. to terminate the Guantanamo Bay lease and for Cuba to compensate property owners for expropriating their property. A comprehensive review of this lease is found in Michael J. Strauss’ The Leasing of Guantanamo Bay. Church World Service was founded in 1946 with this mission: “Feed the hungry, clothe the naked, heal the sick, comfort the aged, shelter the homeless.” It now has 37 Protestant member communions all over the world. As noted in the prior post, on February 27th six Cuban Protestant Christian leaders briefed the U.S. Congress on the status of Cuban religious freedom. Additional details about that briefing have been provided by one of these six leaders, Rev. Joel Ortega Dopico, who is a Presbyterian minister and President of the Cuban Council of Churches. The U.S. State Department’s just-released 2013 Country Reports on Human Rights Practices’ chapter on Cuba needs analysis. “Cuba is an authoritarian state led by Raul Castro, who is president of the council of state and council of ministers, Communist Party (CP) first secretary, and commander in chief of security forces. The constitution recognizes the CP as the only legal party and ‘the superior leading force of society and of the state.’ A CP candidacy commission preapproved all candidates for the February uncontested National Assembly elections, which were neither free nor fair. The national leadership that included members of the military maintained effective control over the security forces, which committed human rights abuses against civil rights activists and other citizens alike. In January the government largely dropped travel restrictions that prevented citizens from leaving the island, but these reforms were not universally applied, and authorities denied passport requests for certain opposition figures or harassed them upon their return to the country. The following additional abuses continued: harsh prison conditions, arbitrary arrest, selective prosecution, and denial of fair trial. Authorities interfered with privacy, engaging in pervasive monitoring of private communications. The government did not respect freedom of speech and press, severely restricted internet access and maintained a monopoly on media outlets, circumscribed academic freedom, and maintained significant restrictions on the ability of religious groups to meet and worship. The government refused to recognize independent human rights groups or permit them to function legally. In addition, the government continued to prevent workers from forming independent unions and otherwise exercising their labor rights. This Executive Summary paints a bleak picture of Cuban human rights, and I have no doubt that many of these points are legitimate. But I still believe that it overstates the negatives. In addition, the Report itself stated in Cuba that there was “no societal pattern of child abuse;” that the government operated family counseling centers; that the government “continued to carry out media campaigns” against domestic violence; that the government “actively promoted racial integration and inclusiveness;” that a government resolution “accords persons with disabilities the right to equal employment opportunities and equal pay for equal work;” and that there was no “discrimination officially reported or permitted based on sexual orientation” accentuated by President Castro’s daughter’s promotion of LGBT rights. On Cuban religious freedom more generally, the Report merely incorporated by reference the section on Cuba in the Department’s most recent International Religious Freedom Report that this blog previously criticized as understating the extent of religious freedom on the island. Finally the Report concedes that the Cuban constitution and other laws prohibit abusive treatment of detainees and prisoners and provide alternative sentencing for nonviolent offenders and juveniles as well as rights to seek redress for improper prison conditions and treatment. Cuban law, the Report said, also specifies reasonable procedures for investigations and prosecutions of alleged crimes. Cuba’s regrettable lapses on human rights, though perhaps understandable in context, should not be a reason for continued U.S. hostility toward the island. A subsequent post will examine what this blogger sees as the implications of this report for U.S. policies regarding Cuba. A prior post reviewed the Department’s overall summary of global human rights in 2013. The most recent annual report (May 2013) from Amnesty International makes similar allegations about Cuba as did Human Rights Watch’s April 2013 submission to the U.N. Human Rights Council regarding its Universal Periodic Review of Cuba. This blog criticized the prior reports on Cuban religious freedom by the State Department and by the U.S. Commission on International Religious Freedom. In addition, another post reviewed positive comments on religious freedom from religious leaders with direct experience on the island. Similar points were made on February 27th, 2014, by six Cuban Protestant Christian leaders at a congressional briefing hosted by U.S. Senator Jeff Flake (Republican of Arizona) and Representative Jim McGovern (Democrat of Massachusetts). In response, a strong supporter of current U.S. policies regarding Cuba launched an unwarranted ad hominem attack on these leaders.